Today I am here with a solution for a women's biggest problem i.e USING PUBLIC WASHROOM!! It's a fact that using public washrooms or unhygienic washroom can cause a women so many problems. Around 150 million women suffer from UTI every year & more than 75% suffer it because of using public unhygienic washrooms. This awareness is to be spread all across. Personal hygienic is must! PeeSafe solves all of our problems as it promises to kill 99% of germs & leave the place clean ,hygienic & disinfected . PeeSafe not only to be used for toilet seats but also it can be used anywhere, where you feel that it's dirty & you can't touch it. Like Public washroom taps, door handle etc. 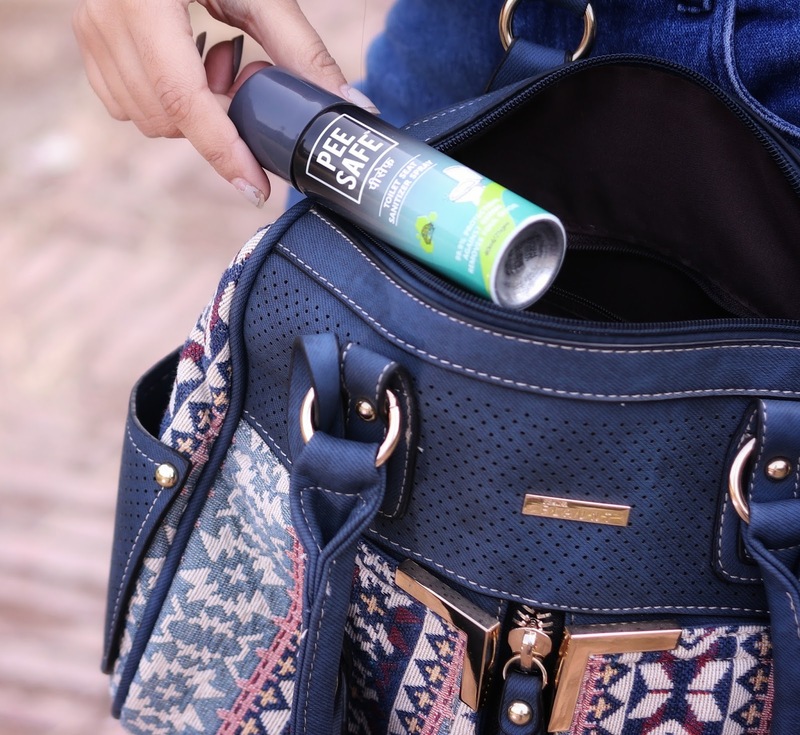 Make PeeSafe your habit, Carry this small tin bottle where ever you do. This bottle is very handy and easy to carry. It can be carried in a purse, school bag very easily. It has a very good fragrance that kills the bad public toilet odour. Shake the can of Pee Safe Toilet Seat Sanitizer Spray. Spray on the toilet seat and any other area that you want to sanitize with PeeSafe Toilet Seat Sanitizer. Wait for just 5 seconds. The anti-bacterial disinfectant spray starts to evaporate and sanitize the area.